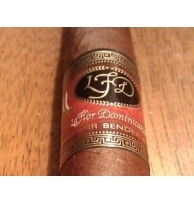 La Flor DominicanaThere are 13 products. Named after the powerful warriors of kung fu movies, the Air Bender is an intense, full-bodied, yet smooth cigar, enhanced with the Chisel's high-octane wedge-headed shape. The Double Ligero Chiselito is the smallest version of the famous Chisel. Powerful and rich with it's signature shape. The L300 is a rich and yet creamy smoke. 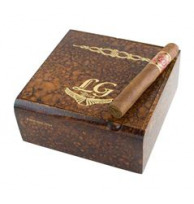 Using Dominican Ligero grown in La Canella, this cigar is medium to full bodied. Not quite a monster but we are getting close. Creamy and rich with a nice spicy flavor. This fat toro cigar is a perfect match for the Ligero blend. The size keeps the smoke cool and the richness of the tobacco really opens up.